Gaurav Tiwari is the Director of Engineering at ReTisense and the Inventor of Stridalyzer Techonology. Being a computer science graduate at GLA University his passion for computers and new technologies has motivated him to work on different freelance projects right from the 1s year of his college. ReTiSense plans to be the de-facto leader in Biomechanics platform for Sports and Healthcare by developing breakthrough sensing and analytics for all aspects of human movement. ReTiSense product line Stridalyzer has two versions. Stridalyzer Performance: Geared towards helping end-users to understand and improve their running form, avoid running injuries, and improve their running performance. Stridalyzer INSIGHT: Provide full-loop solutions to patients and healthcare professionals to diagnose, analyze, intervene and track recovery, through the use of patent-pending technologies and intuitive visualizations and reports. How did ReTisense initially get off the ground? Did it have investors or crowd funding? We started a Kickstarter crowd funding campaign, which was a success and then we got some bootstrap funding to start the production. What problems do Stridalyzer aims to solve? Who can use Stridalyzer? Sensor fitted insoles (Stridalyzer), can connect to mobile application and used to analyze Running Gait, other sports data, gives the injury prediction. Stridalyzer Technology can be used for Rehab (Sports Medicine), Balance Training (Brain Stroke), Foot Ulcer Prediction (Diabetes), Fall Risk Prediction (Elderly) and many other foot problems. Our Biomechanical modeling and computation algorithms enable real time analysis and guidance in various areas of athletics and sports. In addition, our technology is easily integratable with existing footwear, making it attractive for licensing. The name Stridalyzer sounds unique, is there any reason behind this name? Stride means a step and Stridalyzer name comes from analyzer of steps (stride). What was the major Technological Problem that was encountered during the development of Stridalyzer? How did you overcome it? The major concern was the power optimization. We have a limited space to put battery in the insole without compromising on comfort. We have used 180mah battery, which is small in size and optimized the power usage in many iterations. It is surprising that Stridalyzer insoles can last for more than a week after a full charge. How did you make it possible? We have used 180mah battery and optimized the power consumption over every version of Stridalyzer, which results one full charge can go for 20 hours of run/active time or 3 weeks of standby. Having two insoles to analyse both the feet of the runner is a unique feature of Stridalyzer. How does both these insoles communicate with Mobile application simultaneously? Each insole has a BLE module, which can connect to Stridalyzer app simultaneously using mobile Bluetooth. As a Director of engineering where was your maximum efforts spent during the development of Stridalyzer smart insoles? My maximum effort goes in actually designing the end-to-end architecture of Stridalyzer features, sometime coding (because I like doing that) and then dealing with customers across the globe. How long did it take to build a fully functional prototype of Stridalyzer Smart Insoles? ReTiSense founded in June 2014, with an idea of Stridalyzer and we had our first functional prototype by January 2015. I am very interested to buy my own Stridalyzer, where can I get it in India? Stridalyzer has pledged more than $30,000 on kickstarter, how do you feel about it? It was a great feeling. We have considered Kickstarter as validation of our idea and go for our first batch production. What are your thoughts on crowd funding platforms? How can an aspiring Technopreneur make use of it? Crowdfunding platforms are a good way of validating your product idea. Technopreneurs can find an early adaptor for new technology or innovation. Selecting a good Crowdfunding platform is very important as it can bring your product specific market PR. For a product based company like ReTisense what is more challenging? Developing the product or marketing it? Developing product is challenging, as it is a niche technology with very few direct competitors, but marketing of these products is more challenging and takes more effort to educate people and build an environment for the products. What are the other areas in sports/healthcare which could be improvised by leveraging the power of available technology? There are lots of things that can be done in sports/healthcare like full body biomechanics, prediction and prevention of specific deceases like Parkinson’s. What are the common problems that are encountered during the development of a wearable Tech IoT product. In wearable tech IoT products, wearable come first. Anything, which sits on the body need to be very comfortable, in wearable tech the common problem is to embed technology to wearable without compromising on comfort. Apart from India, Stridalyzer has their manufacturing partner in China and Taiwan. Of all three which do you think is the best manufacturing hub for a tech product? We had a manufacturing partner in Taiwan, for the Stridalyzer first version of manufacturing. Now we have moved most of the manufacturing to India. We started making our own pressure sensors and full insole assembly in India. Apart from Stridalyzer is ReTisense planning on any new product? Stridalyzer is now a line of products. Stridalyzer Performance is an smart insole for runners. Recently we have launched a new product Stridalyzer INSIGHT, which can be used by Physiotherapists, Rehab (Sports Medicine), Balance Training (Brain Stroke), Foot Ulcer Prediction (Diabetes), Fall Risk Prediction (Elderly) and many other foot problems. In future we plan to come with full body Biomechanics platform with different devices. Where do you think major improvement/development has to be made in the field of IoT or wearable electronics? Iot and wearable electronics has improved a lot in last 5 years. Iot with integration with machine learning and AI have to go a long way and it’s the future of all connecting devices. How does your work environment look like? It’s an open friendly environment. Tell us about your team and how you built it. My team is small and has very talented and focused people from different domain. 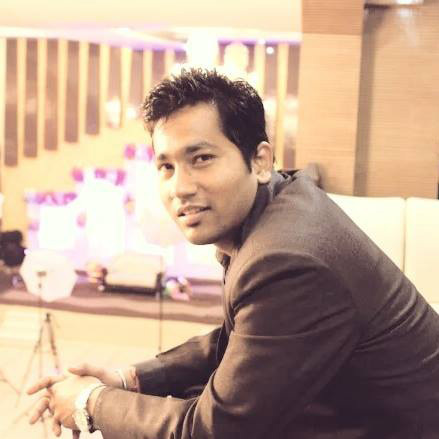 Anshuman (Founder): He has been in the tech industry in various roles for 18 years. An expert in semiconductors and biomechanical analytics. Anshuman and I met accidentally in a coffee shop and from then we are working on Stridalyzer. What is your favourite tool or software to work with? ReTisense seems to be a very promising place to work in. Is the company currently looking forward on hiring any new talents? What would be your word of advice to your fellow Engineers? Engineering is the field where learning never stops. Develop things that you are proud of.